Well, it’s FINALLY that time of year again. 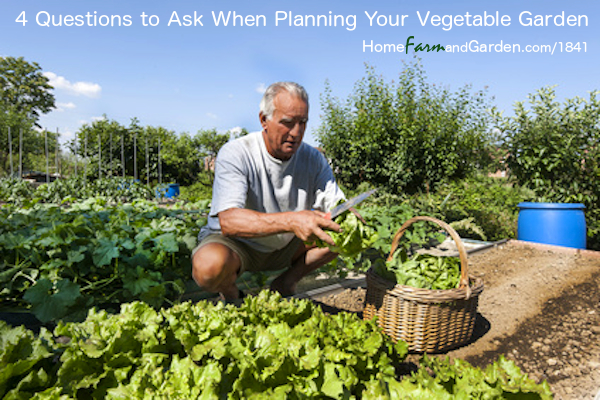 Time to start finalizing your vegetable garden plans. Are you in?? This will be our second full summer in this house, so l am hoping to make lots of headway in terms of getting our gardens and landscaping more established. Last year was more about keeping our heads above water as we wrapped up a million and one different projects just to make the place livable. So, lately I’ve been really preoccupied with setting gardening goals for myself. I’ve always been really good with the ‘Big Picture Vision” stuff – I can see exactly how things will look in a few years. It’s the day-to-day micro-tasking needed to pull it all together that I have to work at… Which leads me to the topic of gardening goals. How to set them – and how to achieve them. If you are like many gardeners, you may find your main motivation is simply to get outside and reconnect with nature by digging in the dirt. You may also enjoy gardening as a way to squeeze more physical activity into an otherwise hectic schedule. Without question, growing a vegetable garden is a very relaxing way to accomplish these goals. For example, if you want to reduce your monthly grocery bill throughout the year by preserving part of your harvest, you’ll need to figure out how much you can actually grow in the space you have available. Even if you just want to grow enough so your family can enjoy fresh produce during the warmer months, you’ll still need to figure out what you want to grow and how to make it work within your personal space and time constraints. This last question is often overlooked, but it is very important because financial considerations will determine how much you can invest in seeds, transplants or other supplies. Honest answers to all of these questions will ensure you don’t get in over your head or become discouraged before you’ve had a chance to see results. Defining the amount of resources you have available upfront will allow you to set more achievable vegetable gardening goals. Once you’ve developed a clear picture of what you have to work with, you can set realistic goals for your vegetable garden. I always start with a list of the vegetables and herbs I use the most while cooking, which makes it easy to identify my “must-have” items. It also helps me focus my limited time and energy on what matters most. (If you follow this strategy – you’ll find it is also much easier if you decide to scale back your plans later). PS Would love to hear your thoughts on this topic… Have you ever stopped to think about your own vegetable gardening goals? If so, please share them below!